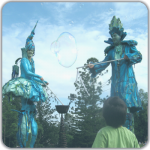 Bubble machines in their costumes! 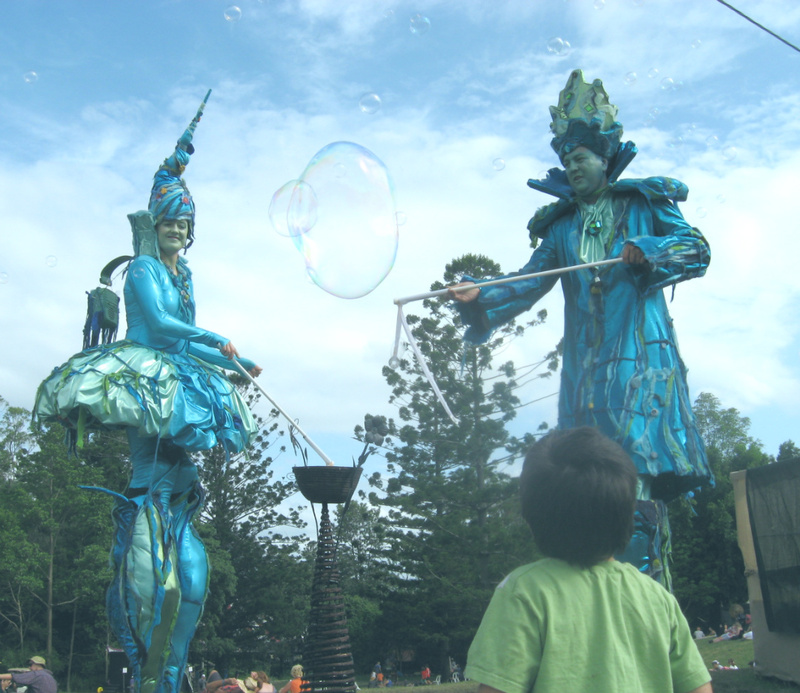 This spectacular act captivates young and old, masses of bubbles float around the Water Drops wherever they go. 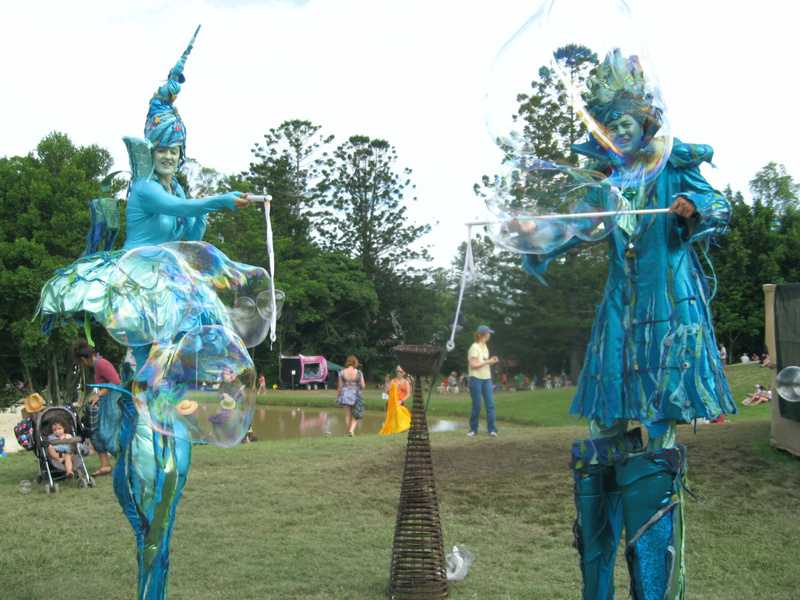 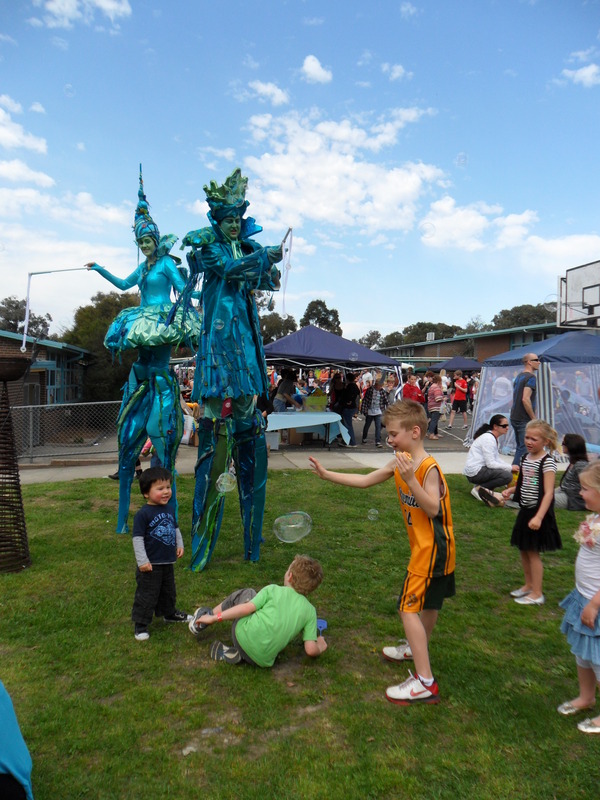 The Water Drops also make giant size bubbles of a metre or more in decimetre and everyone wants to pop a giant bubble. 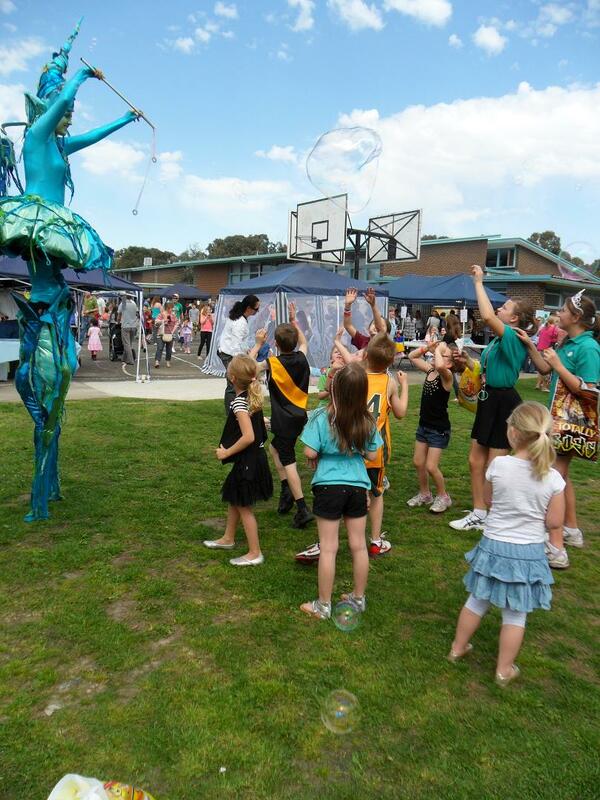 Children have even been known to use fairy floss sticks as tiny javelins in order to achieve such a prize! 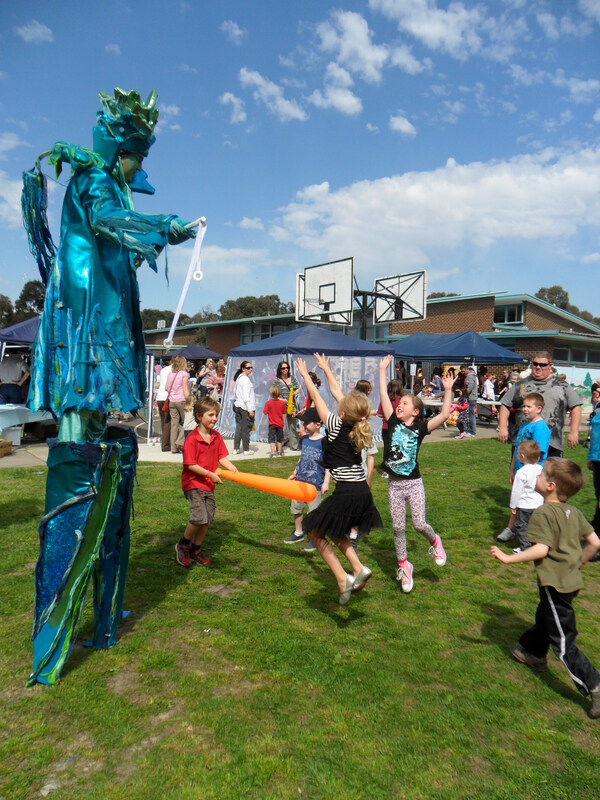 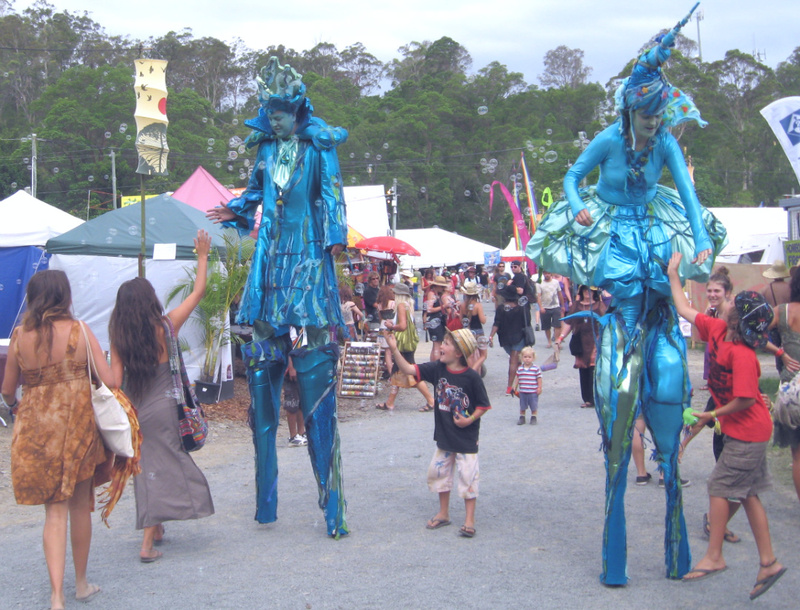 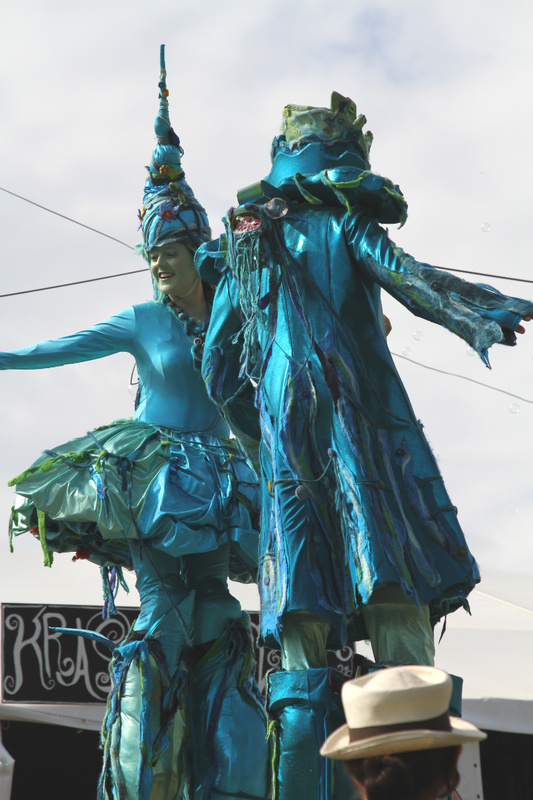 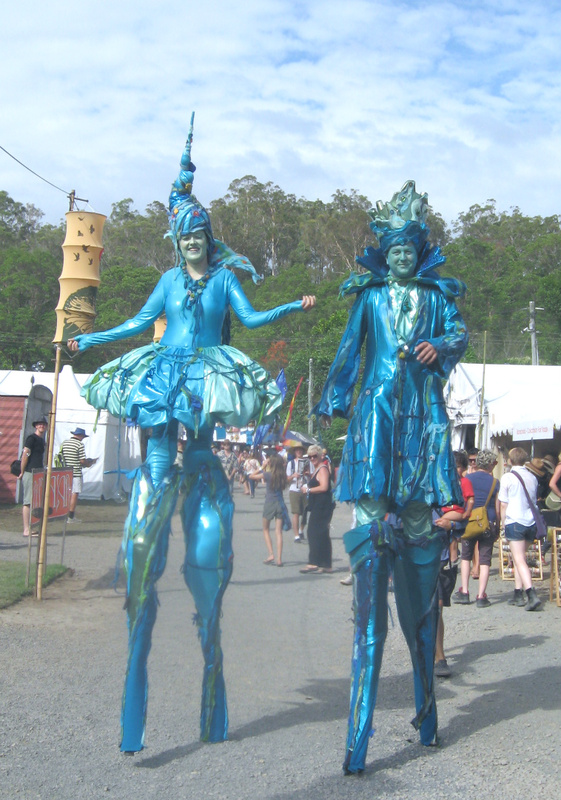 This stilt act embodies beautiful, water-creatures who shimmer and bring a touch of the exotic to your event.